Perfect, blew out at side of the road, he came and sorted me out! 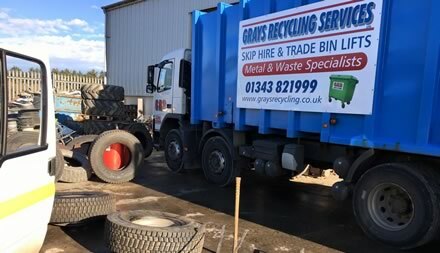 Moray Tyres has extensive experience of providing tyre supply and repair to industrial vehicles throughout Moray, Aberdeenshire and Highlands of Scotland. Our mobile service means that we supply and repair vehicles on site or in the case of breakdown we are available 24 hours a day. We can provide expert advice on the right tyres for your industrial vehicles and can supply tyres at very competitive rates.